RunawayTrain Productions helps guests experience a piece of American history. Homestead National Monument brings the epic homestead story of the American pioneer to life and demonstrates the true scope and importance of the Homestead Act of 1862 which allowed nearly any man or woman a chance to live the American dream of owning their own land. 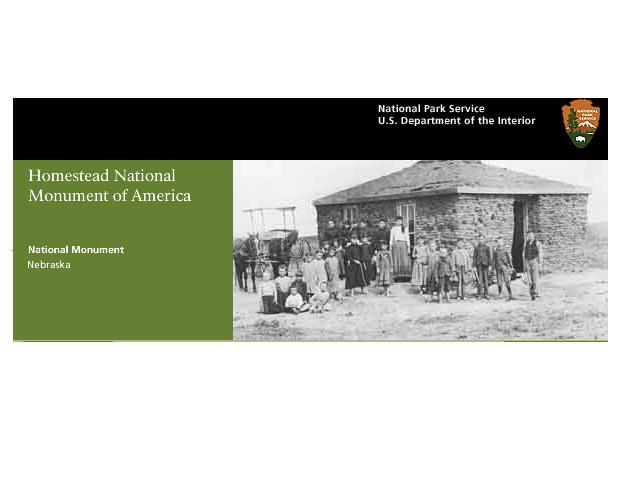 RunawayTrain Productions in a partnership with CEAVCO Audio Visual in Denver, Colorado has been asked by the National Park Service to create an assistive listening guided tour for the Homestead National Monument in Homestead, Nebraska. For several years, The National Park Service has been upgrading all the audio visual exhibits in the parks to enrich the visitor experience for guests with disabilities. Assistive listening systems are being installed to amplify program audio for the hearing impaired and most recently, audio description audio tracks are being added to the presentations themselves to enrich the experience for the site impaired. For almost a year, RunawayTrain Productions has been working with CEAVCO Audio Visual, the audio visual integrator, to add these audio options and convert the existing media to solid state digital playback systems. When the National Park Service began renovating Homestead National Monument they realized that no such audio description tracks existed, so they called on RunawayTrain Productions to create one. “It sounds simple but it definitely comes with challenges” says Natisha Walton, Executive Producer and head writer on the project, “Writing for film and television focuses so much on complimenting the existing visual image. In audio description, you really have to imagine being visually impaired and maximizing your language to enrich the exhibit experience”. The CEAVCO selected the Sennheiser GuidePort system which allows each guest wearing a receiver unit to hear a visual description based on a proximity trigger specific to the exhibit. Should the guest want to hear more detail, they may navigate to more content using buttons on the hand held receiver unit. “It’s a great system, but it required us to flow chart the content in a much more interactive manner” says Walton. “Each of the exhibits became a bit of a jigsaw puzzle in how we designed the content flow. This project may have taken more time to produce than a conventional script, but the Park Service has been great, the content is fascinating, and at the end of the day, we feel like we may have helped someone less fortunate learn more about American History. 2009 was tough on the auto industry and for General Motors it was no different, but when most auto manufacturer’s got conservative in 2009, GM was busy renovating dealerships, improving product, systems, and procedures. The executives at GM know the future was bright but they wanted to let the dealer base know it, so GM turned to RunawayTrain Productions in Denver, Colorado. GM wanted to create a series of video presentations that would rekindle the feelings of optimism and pride in the company, while clearly illustrating recent milestones and vision for the future. The opening piece titled “The All New GM” highlights the themes of the campaign. New products,new look, new clientele, new facilities, new commitment, and new spirit. GM wanted to hear from a broad cross section of employees, see high quality shots of renovated dealerships, and package it with contemporary graphics and music to create a feeling of momentum. RunawayTrain Productions shot in multiple locations across the United States to capture a variety of recently remodeled dealerships, interviewing corporate executives, dealership managers, as well as sales and service employees. By crafting interview questions around GM’s key bullet points RunawayTrain was able to create a variety of video pieces ranging from short attention grabbers to longer, more detailed presentations. GM liked this approach for several reasons. Economically, the modular nature of the productions gave them lots of presentation options for a reasonable budget. By designing a campaign wide graphics package, that could be easily adapted to existing running footage, they enhanced their brand direction with a consistent graphic look that appears on many platforms, and many viewers. 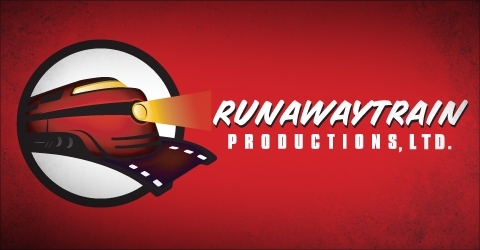 The creative community also recognized the success of the production by awarding RunawayTrain Productions two Telly awards which honor the very best in film and television. Check out this and other video projects by RunawayTrain Productions on youtube, vimeo, and vodpod. Natisha Walton, Vice President and Executive Producer at RunawayTrain Productions co-produced the winter season of network IDs for PBS Kids Sprout. PBS KIDS SproutSM is the first 24-hour preschool destination available on TV, for kids ages 2-5. It was created as a partnership among Comcast Corporation, HIT Entertainment, Public Broadcasting Service, and Sesame Workshop, the nonprofit educational organization behind Sesame Street®. Sprout is the #1 Kids On Demand service for young children, generating over half a billion orders to date. Sprout provides 60 hours of VOD programming each month, including 10-15 hours of Spanish-language programming (Plaza Sésamo®, Angelina Ballerina™, Barney & Friends™, Bob the Builder™, Olly El Submarino™). The IDs are live action and involved nearly 40 crew and talent for2 days, and were directed by Marianne Fernsler of Sprout. The finished products are currently running on PBS Kids Sprout. Look for it on your local cable listings.